This is the webpage for Art Center College of Design, VxD3. This class is an introduction to interactivity and procedural literacy with Processing. 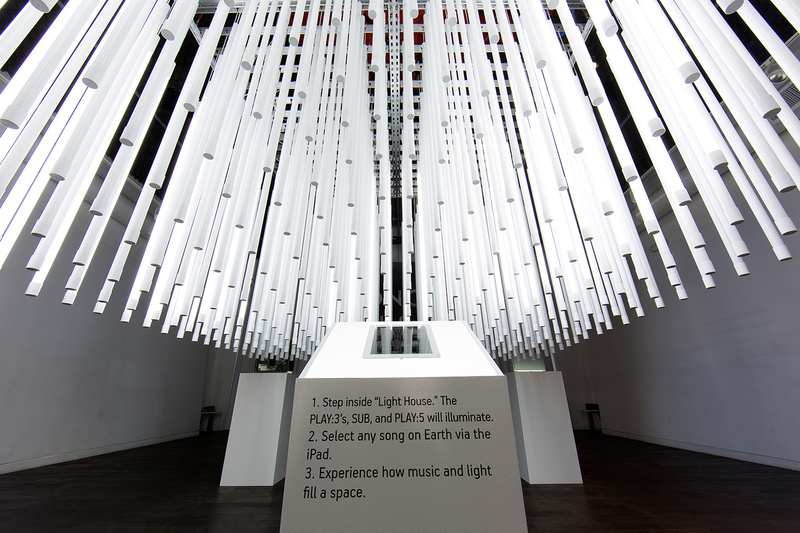 Light House is an interactive light and sound responsive installation that responds in real-time to Sonos components. 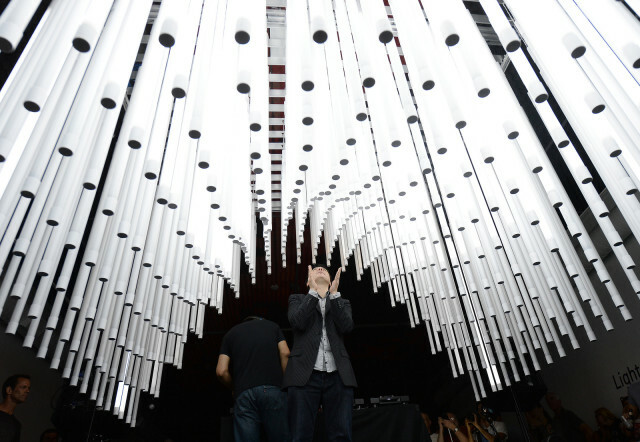 The installation is constructed of a grid of 600 fluorescent light tubes at varying heights and lengths to create an interior volume. 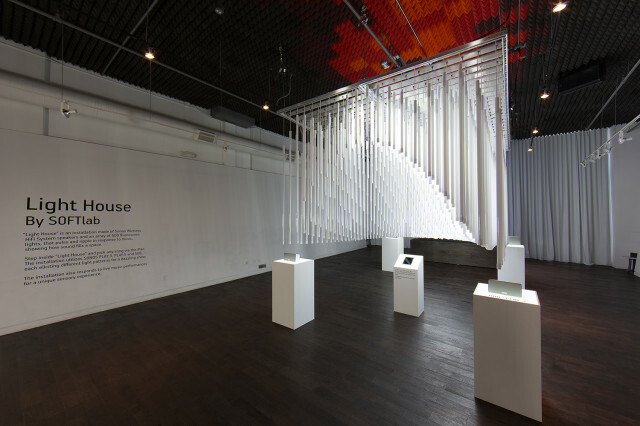 The piece reacts to the music being played and looks like it’s echoing, but through light rather than sound. I chose this project because I really love how this piece uses music, light, and Processing to make something really beautiful. 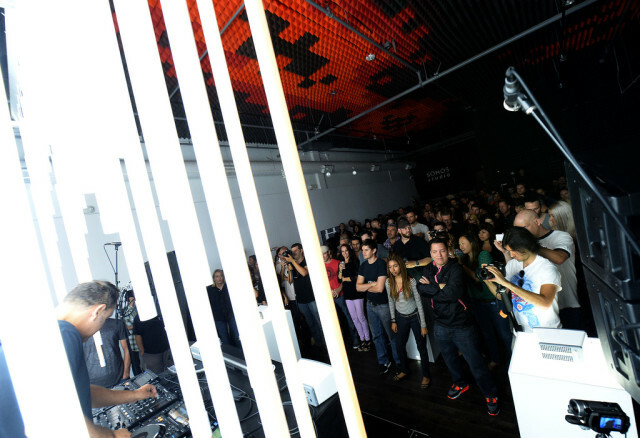 It has the ability to elevate live music and how it’s viewed and heard. Currently, there are lights that respond to live music, but this looks so different and modern; it’s truly a piece of artwork. It would be really interesting to see this blown up to a much larger scale to see how audiences react to it. For the purpose of it being in a smaller studio though, I think it’s really successful. 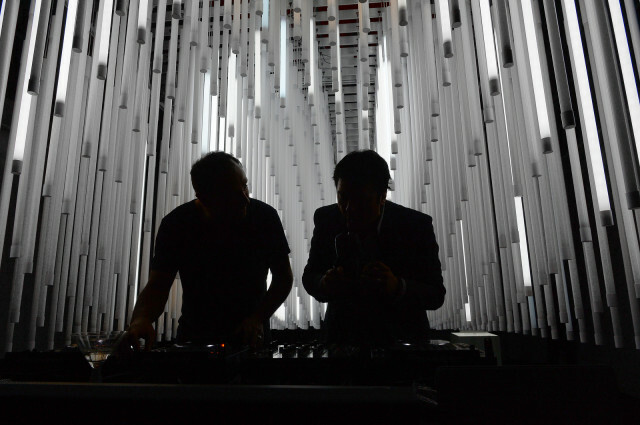 I thought that it was unique how they considered the lights to be three-dimensional pixels in space, causing the music to react within a certain field of bulbs. It’s complicated, but I think the results definitely make it worth it. © 2014 ACCD / ID03. All images are copyrighted by their respective authors.